Skeptics say "You're only a Christian because you grew up in America. If you were born in Iran, you'd be a Muslim." While this is wrong, it should make us think. - Is Jesus Alive? Skeptics say “You’re only a Christian because you grew up in America. If you were born in Iran, you’d be a Muslim.” While this is wrong, it should make us think. How are you so sure your faith is the right one? Isn’t religion only a reflection of culture? Some might say that you’re just a Christian as an accident of birth. If you were born in Thailand, you’d be a Buddhist! If you’ve noticed, Atheists and other skeptics of religion bring this up a lot. As if the same type of reasoning doesn’t apply to them. Think about it for a second. In the West, Christianity is predominant. But not completely so. Not by a long shot. We’re also taught secularism and scientism very strongly in our society. What I mean by scientism is that it’s through the hard sciences that we learn the truth. Our ideas about God, ethics, and politics are mere expressions of our private opinions. They’re not something that you can really know unless they’re science-based. Or so we’re told. Now imagine saying to a religious skeptic: “you’re only that way because you’re raised in the West!”. 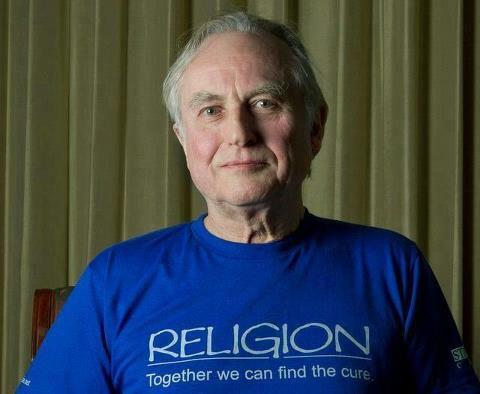 Someone like Richard Dawkins would definitely object. No way, Jose. They’d usually insist came by the evidence! They’re not just cultural atheists. Right. Can’t it also be possible that a believer also came to faith based on evidence-based reasons too? Why is it assumed that the Christian’s belief is simply cultural? When you attack a belief based on the origin of a belief, you’re committing what logicians call the “genetic fallacy“. I could be a Christian because I saw a cloud that I thought looked like Jesus. That would be a lousy reason to believe, but that doesn’t mean Christianity is false. This is a bit like the disciple Nathaniel in John 1:47. He gets invited to meet Jesus. His response was “Nazareth! Can anything good come from there!” Philip had the right response: “come and see for yourself”. The truth of a belief needs to come from investigating the claims themselves. An analogy from politics can be helpful here. 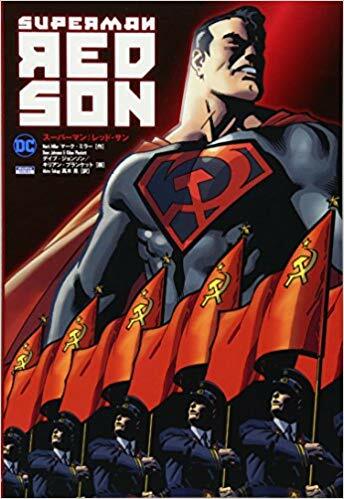 In 2003, Mark Millar published a graphic novel called “Red Son Superman”. It explores what would have happened if Kal-El’s ship had landed in Soviet Russia instead of Kansas. Instead of fighting for truth, justice, and the American way, Superman instead conquers most of the known world in the name of communism! Furthermore, it’s not true believers are believers because they’re raised that way. It can be for some believers. Even many. But did Christianity start that way? I’m not saying that this is ironclad proof that Christianity is true. I do think it can be evidence pointing in its favor, but that’s a separate debate. You can definitely explore that in the main part of the site. But I say this to illustrate that it’s not true that people stay in the religion they’re raised in. It’s not true then, and it’s not true today. Take for instance Marxist-atheist China. They have a huge amount of people who have converted to Christianity in the past few decades. Isn’t that then proof still that religion is at least by and large influenced by culture? Well sure. You don’t see tons of Muslims converting to Christianity. It’s because, in some Muslim nations, it could cost you your life! The same goes in Marxist-atheist regions. You can go to jail for sharing your faith. Even in the so-called tolerant West, societal pressures can still be strong. Sure, you won’t go to jail if you come out as a Christian, but there’s social pressure to not be one of those “Christian weirdos”, especially in some parts of the country. In my own experience, me coming out as a Christian in my senior year in high school meant I lost 90% of my friends. I wasn’t applauded by many for my new-found belief. For you have spent enough time in the past doing what pagans choose to do—living in debauchery, lust, drunkenness, orgies, carousing and detestable idolatry. They are surprised that you do not join them in their reckless, wild living, and they heap abuse on you. 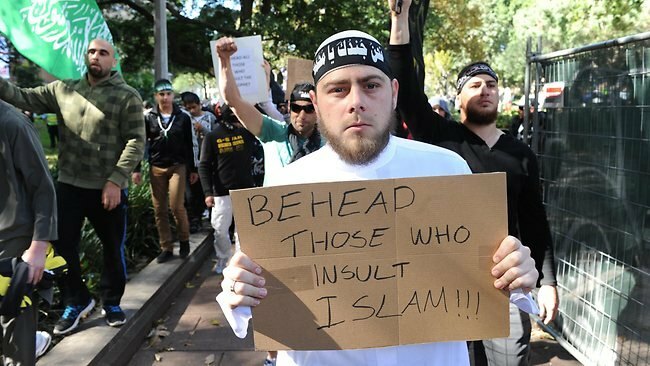 The good about this religion is ‘merely cultural’ argument? I’ll say this. There is one thing I appreciate about this argument. Everyone should get challenged to reason through why they believe what they believe. If you’re a “cultural Christian” or even a “cultural non-religious” person – ask yourself why. Challenge why you believe what you believe. Examine it. Don’t ride your parent’s coattails. Don’t be a Christian because it’s “American”. Don’t be non-religious because “all my friends are” or even because “most educated people aren’t religious”. These things prove nothing either way. We shouldn’t reject our beliefs because we’ve never questioned them. But we should be able to know and defend why we believe what we believe. This goes for everyone. We all hold the burden of proof to defend our own worldview. This isn’t a suggestion if you’re a Christian, 1 Peter 3:15 commands that you’re able to give a reason for the hope you have.